As a mom and a small business owner, my days are filled with various tasks and responsibilities. Some are home and family-based (such as laundry and errands) and some are business based (such as creating content and responding to emails). Yet others are tasks that are just for me. Going to barre classes, taking walks, catching up with friends…these things are added into my schedule intentionally, and everything else seems to work better when I’ve scheduled this time for myself. At the top of that list, though, is a daily tea break! 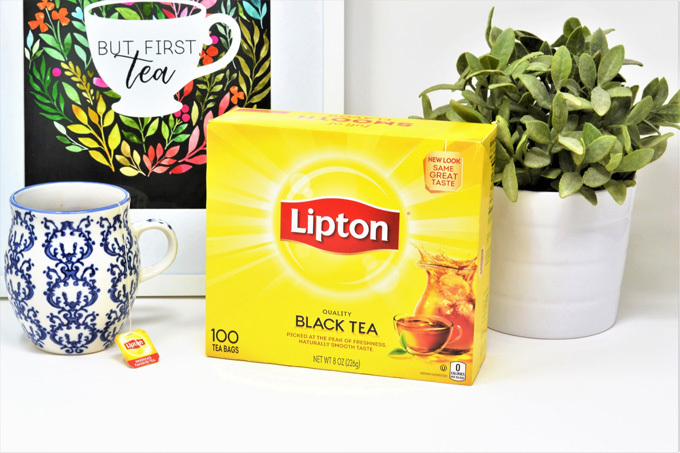 While at Walmart the other day, I picked up Lipton 100% Natural Black Tea, which boasts a new look, but the same great taste. 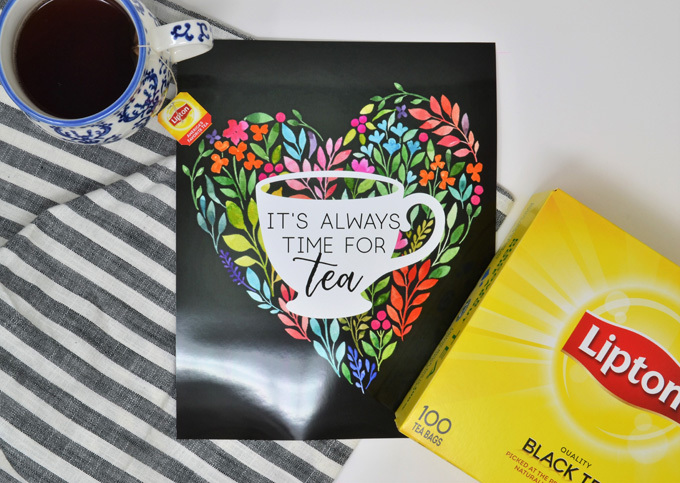 I’ll share more about my tea ritual below (and share some free printable art), but first, be sure to hover over the image below so you can pick up some Lipton 100% Natural Black Tea for yourself! 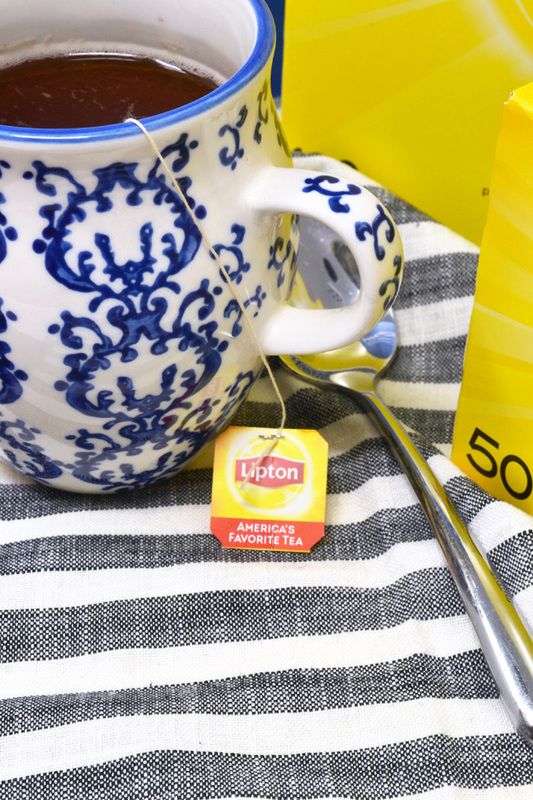 Even with the new packaging, Lipton is still “America’s Favorite Tea!” Lipton is still natural and still 100% black tea. 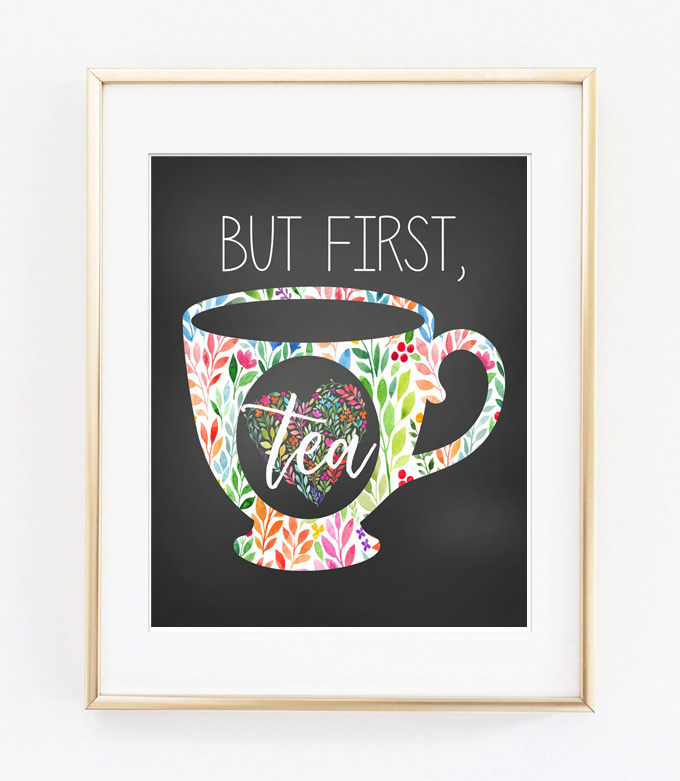 As I mentioned above, a daily tea break is the perfect way for me to refocus and reset during a busy day. 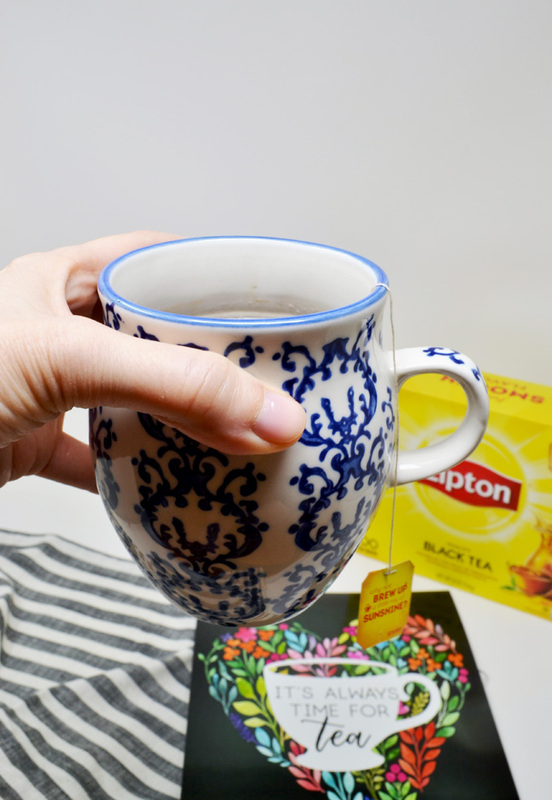 I make a mug of Lipton tea, and sit down for 10-15 minutes with a book, journal, or sometimes nothing at all. When I’m done, I’m almost always ready to get back to work. 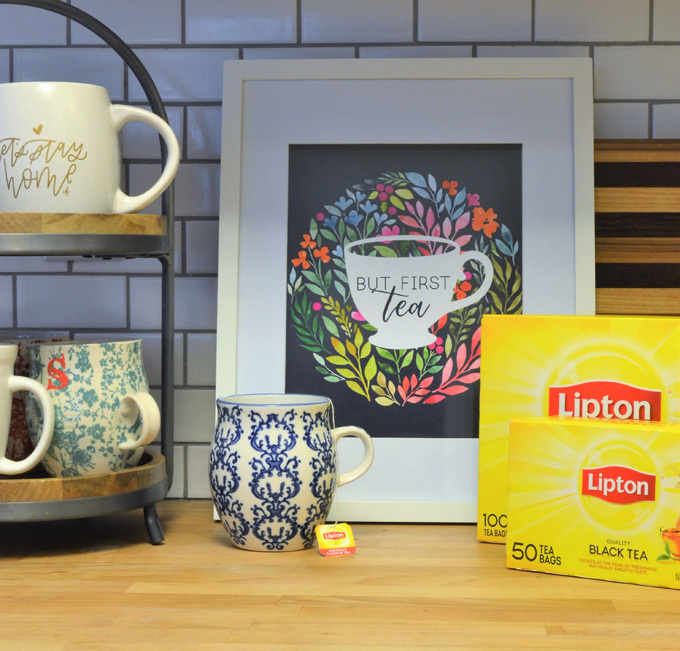 During the cooler months, I’ll often make another cup of tea to sip on while I’m doing blog or client work. 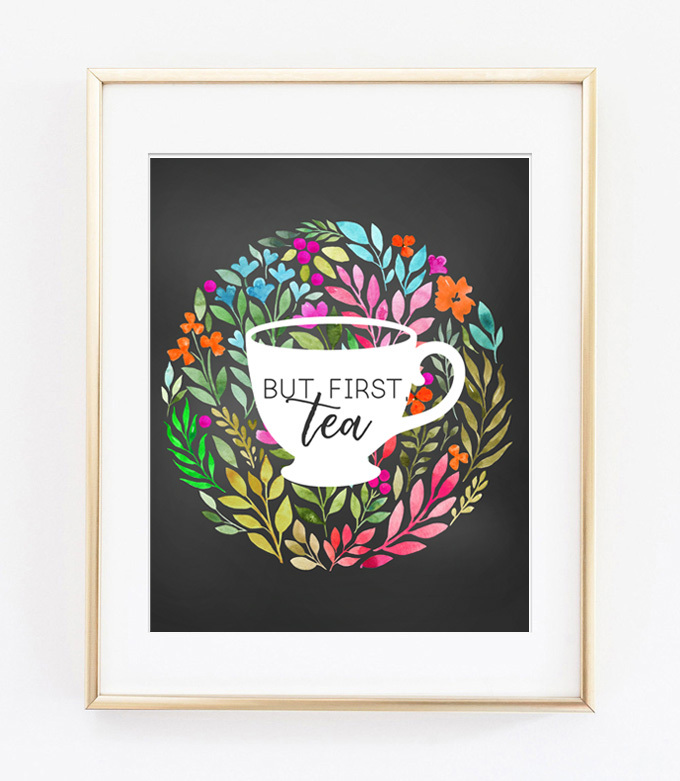 Which brings me to our free printables! 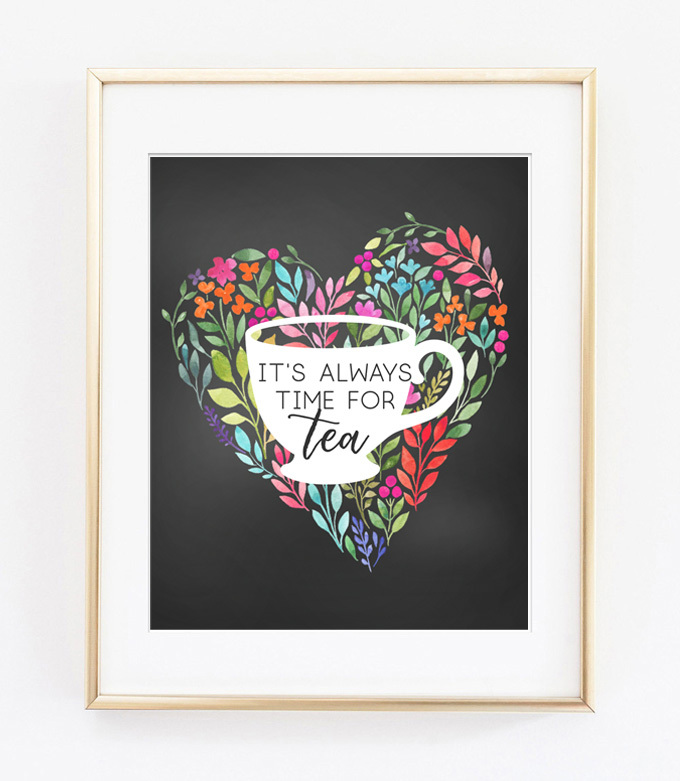 Sitting down with a cup of tea the other day inspired me to create three, free printables, perfect to add to your tea station, kitchen, or to gift to your tea-loving bestie! 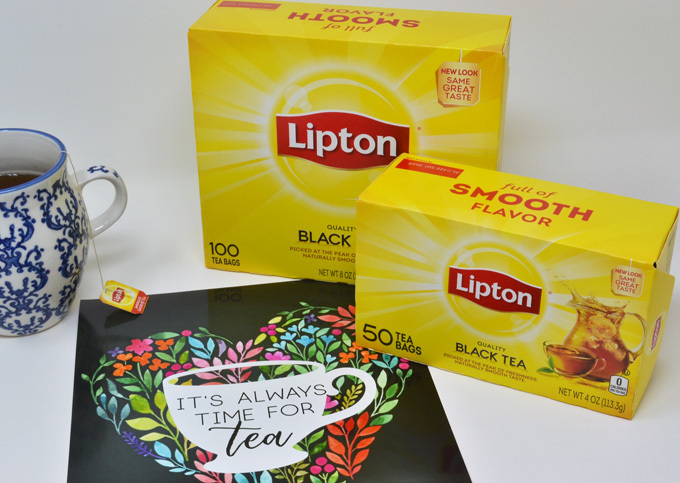 As I mentioned, I picked up my Lipton 100% Natural Black Tea at Walmart. You can purchase in store or online at Walmart.com! 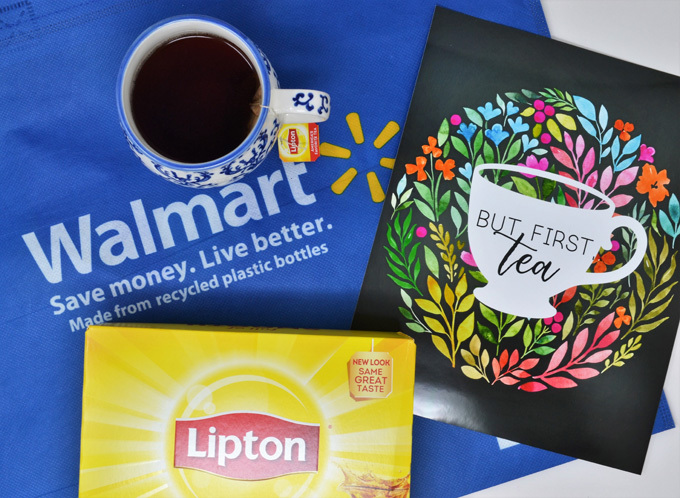 Also, earn $.75 on any one Lipton product at Walmart while supplies lasts! 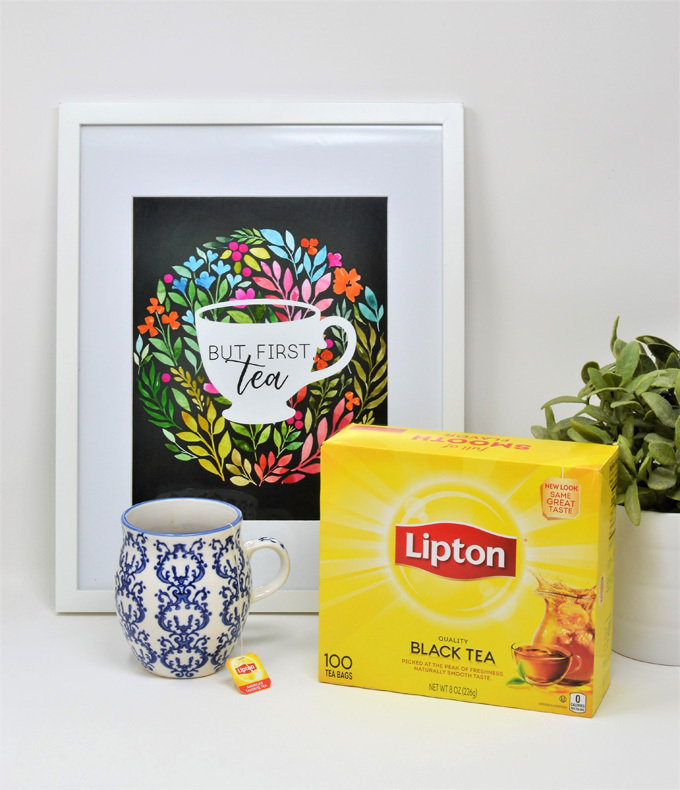 Thanks so much for reading all about our Taking a Mid-Day Break with Lipton Tea and Free Tea Printable Art. Have a great day!